Eat Dallas: EatDallas Writer Greg Holman Co-Starring With Ty Pennington In New ABC Pilot Airing in December! EatDallas Writer Greg Holman Co-Starring With Ty Pennington In New ABC Pilot Airing in December! As many of you know, I've been a Company Director for Heritage Auctions (the third largest auction house in the world) for over 5 years now as a "Pop Culture" expert, and earlier this year was asked by them to do a screen test for Cineflix, a TV production company out of Toronto. 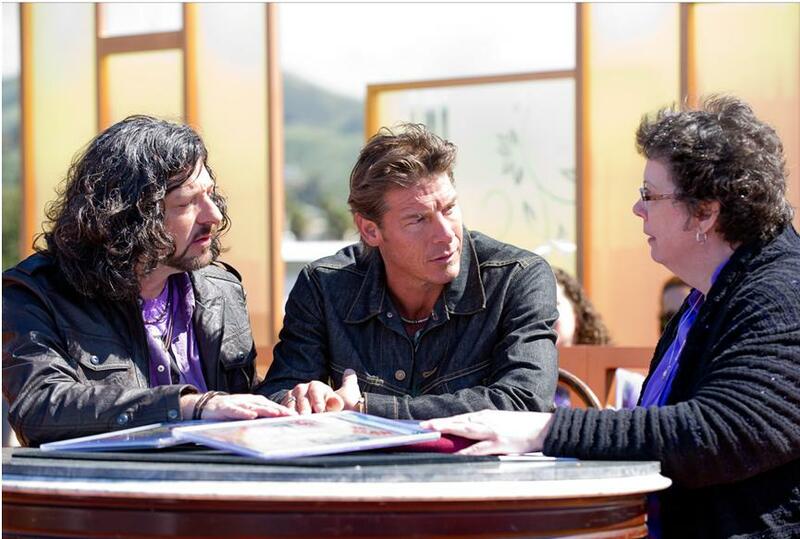 I was incredibly fortunate, and was somehow chosen for a co-starring role on a new ABC TV Pilot with Ty Pennington (former Guess Jeans Model and host of "Extreme Makeovers"). We spent April and May shooting in Beverly Hills, Ventura, at the Rose Bowl, and on the Queen Mary, in Long Beach. The show is titled "Great Big American Auction" and was sent to three test markets, where it received the highest test ratings of any show in ABC's history! I finally got notification yesterday that the pilot has officially been picked up by the network and is scheduled to air on ABC (Channel 8 here in Big "D") on December, 8th (Thursday) at 9:00 pm. The Cast Of "Great Big American Auction"
Please tune in and then let ABC know that you'd like to see more episodes of the show! It's been an amazing ride and I've made some phenomenal new friends along the way. Thank you to Lisa, my beautiful, brilliant, and patient wife for sticking by me, and thanks to my father George, Natalie, my family, and all of my friends who have endured my foibles, faults, and my repeated absences throughout all of this! I love you all more than you can possibly ever imagine! I'll try to send out a note when we have the logisitics for a watching party ironed out. Oh, I also just shot an episode of "Storage Wars" for A&E which should also air sometime in December, so keep your eyes out for that as well. I've added some production photos below. See you in the funny pages! Comic Book Owner Happy With Our Appraisal!